Thanks to a parliamentary survey that year, detailed measurements of the Brookes were available and a group of Plymouth-based campaigners had accurate deck plans, cross-sections and side views drawn up. 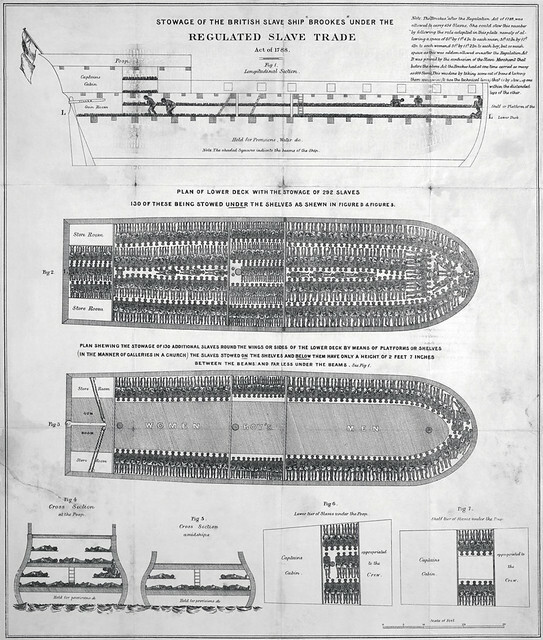 Into these were added hundreds of prone black figures, not dissimilar to Isotype figures, drawn to the dimensions laid down in the Regulated Slave Trade Act of 1788 (‘6ft by 1ft 4in to each man, 5ft 10in by 1ft 4in to each woman, 5ft by 1 ft 2in to each boy, 4ft 6in by 1ft for a girl’). Read the whole story (and click through to an enlarged version of the graphic) at Eye Magazine. As we shudder, we might send melodious birthday greetings to John Newton; he was born on this date in 1725. As a young man, Newton put to sea on a slave ship; subsequently, he was himself enslaved in West Africa. Rescued in 1748, Newton returned to England, and on the voyage home had a spiritual conversion to Evangelical Christianity. He tried returning to slaving, but couldn’t stomach it. 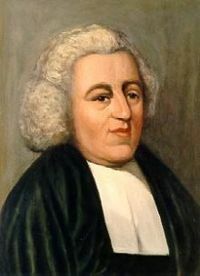 So he supported himself as a tide surveyor, applying unsuccessfully to the Methodists, Independents and Presbyterians for curatorial positions until finally, via an influential friend, he was ordained an Anglican priest in 1764. In 1788 Newton began to speak out against slavery, and became an ally of William Wilberforce.